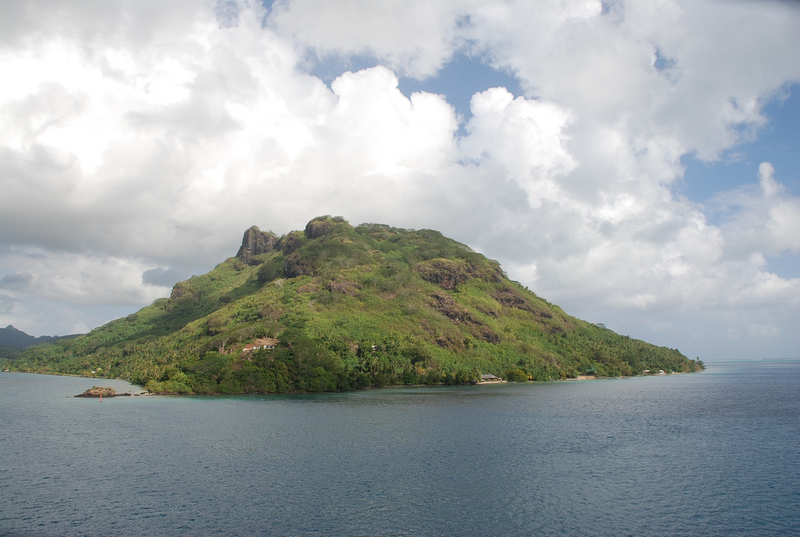 For one thing, the island is, arguably, the most picturesque in all of French Polynesia. 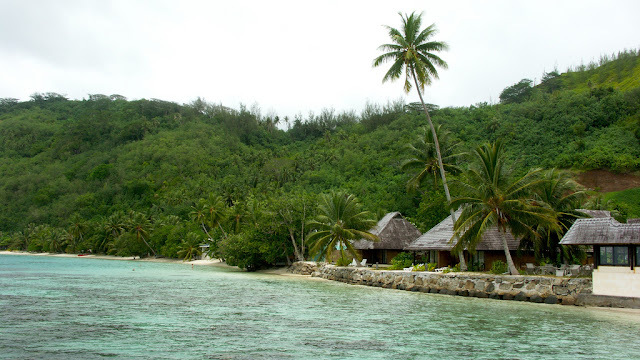 Huahine is truly an undiscovered paradise among the Society Islands. 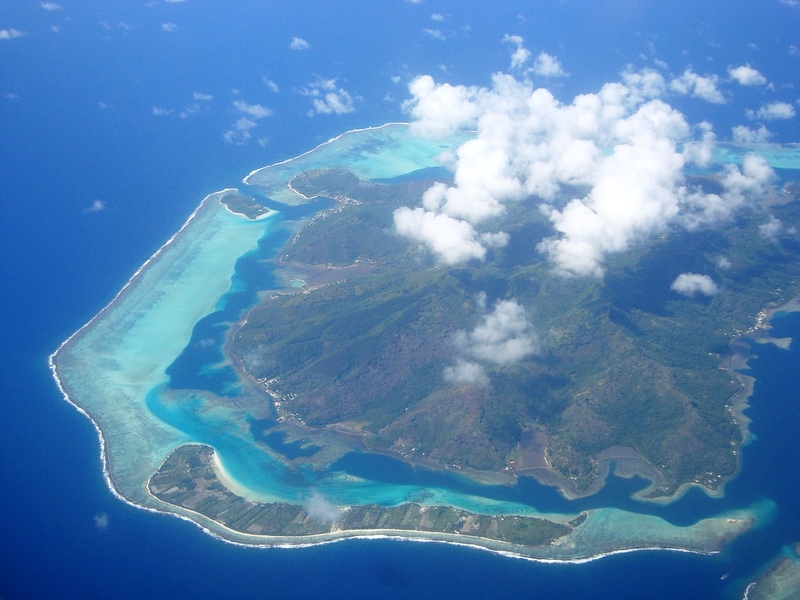 The island itself is actually 2 islands known as Huahine Nui & Huahine Iti (Big and Little Huahine) It is located 110 miles northwest of Tahiti and is 28 square miles in size. 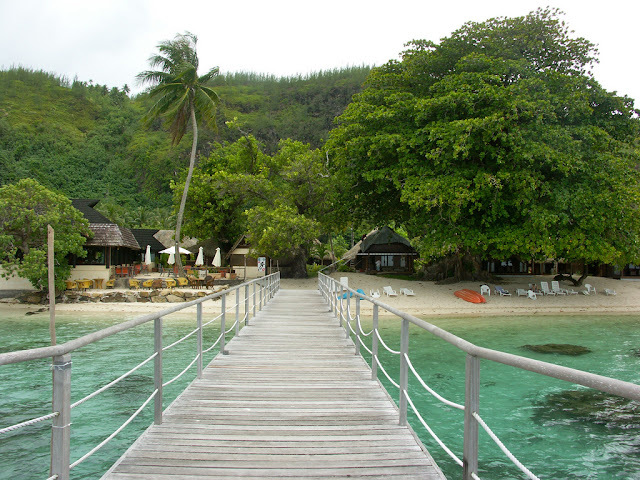 A bridge connects the 2 islands and can be easily explored in a day or two or more. 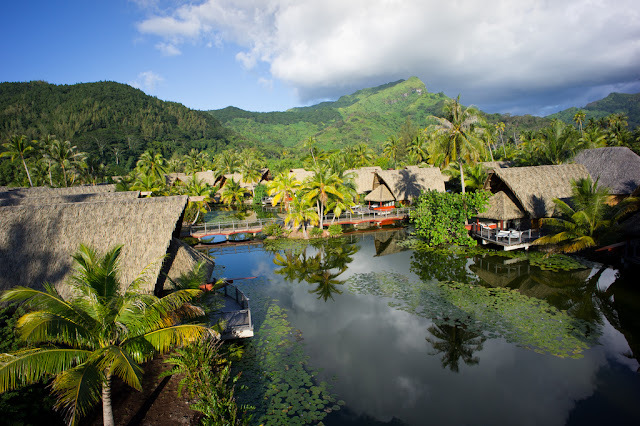 Huahine sits just opposite Raiatea and Taha’a from Bora Bora, and is larger, greener, more pristine, more culturally rich and pure than most of the Leeward Islands. It boasts the most archeological & sacred sites and the nicest people anywhere in French Polynesia. 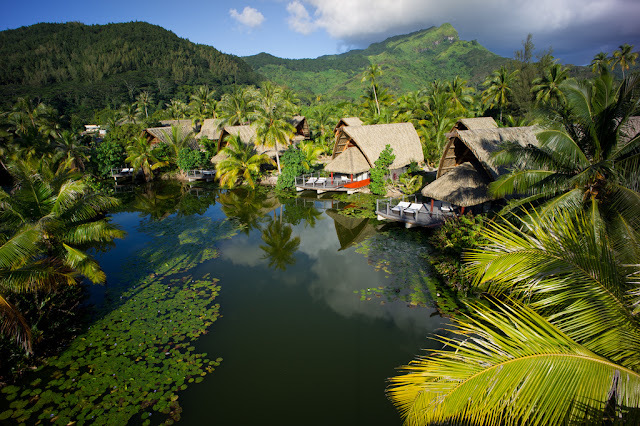 Huahine Island the least explored of the Society Islands, Huahine is a happy, peaceful place, where the traditional Polynesian way of life continues in spectacular scenery that rivals any on Moorea or Bora Bora. 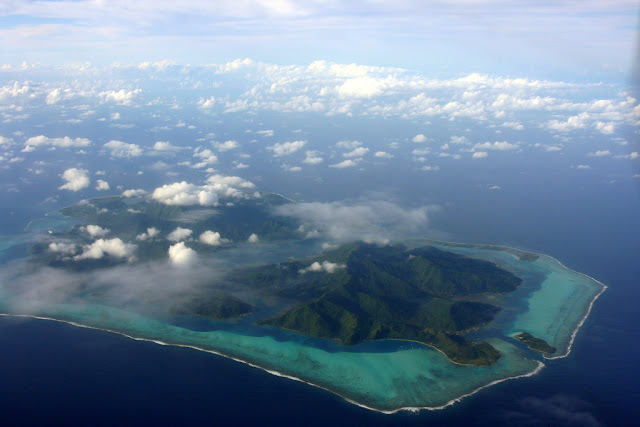 With steep mountains descending into protected bays of azure blue and emerald green colors, the island is also one of the more geographically diverse of the Society Group.Any place on Huahine is pure paradise. 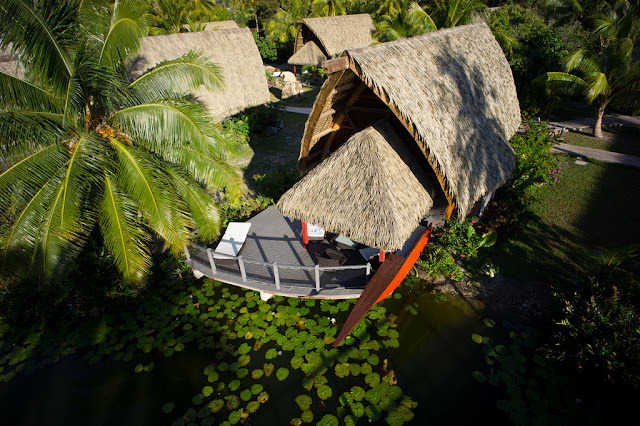 There is a lookout where you can see across the center of the island and its interior lagoons, then Northwest of Huahine Iti lies a brackish lake known as Lac Fauna Nui. This lake is all that remains of the ancient atoll lagoon. All around the island there beautiful gardens, farms, and lagoon after lagoon. 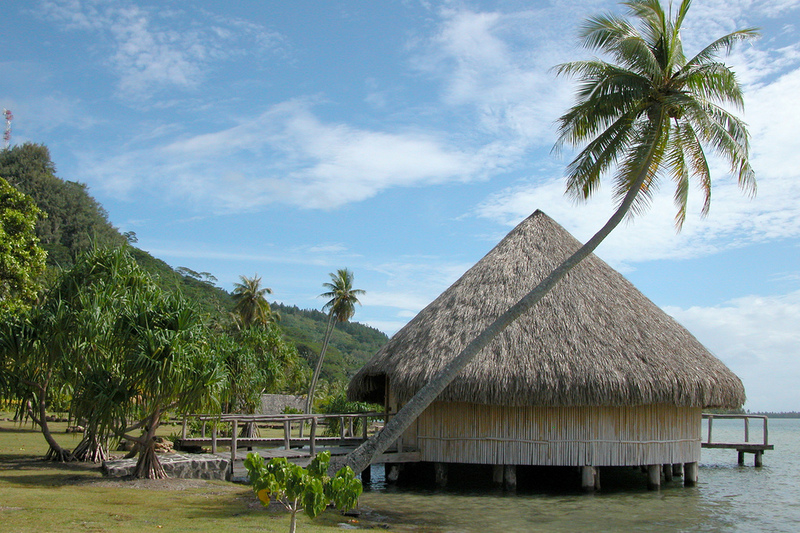 The three primary properties on Huahine are as unique and unspoiled as their surroundings. 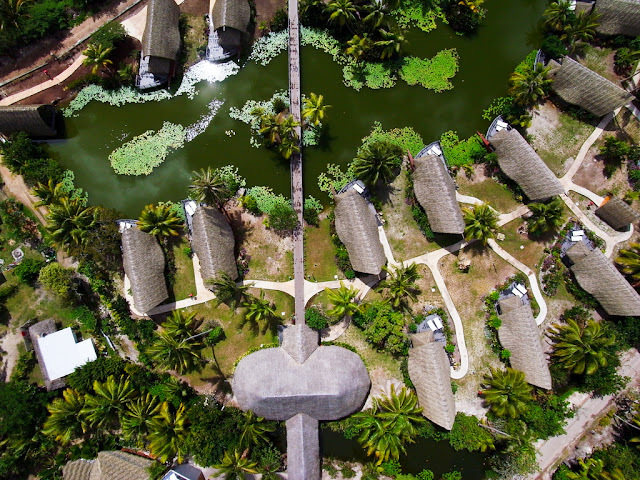 These exclusive resorts and hotel are located on opposite sides of the two islands and offer beauty, seclusion, fine dining, and pure relaxation. The resort restaurants are among the best in the Pacific and feature lavish and traditional Polynesian shows and music performed by the island's best musicians. 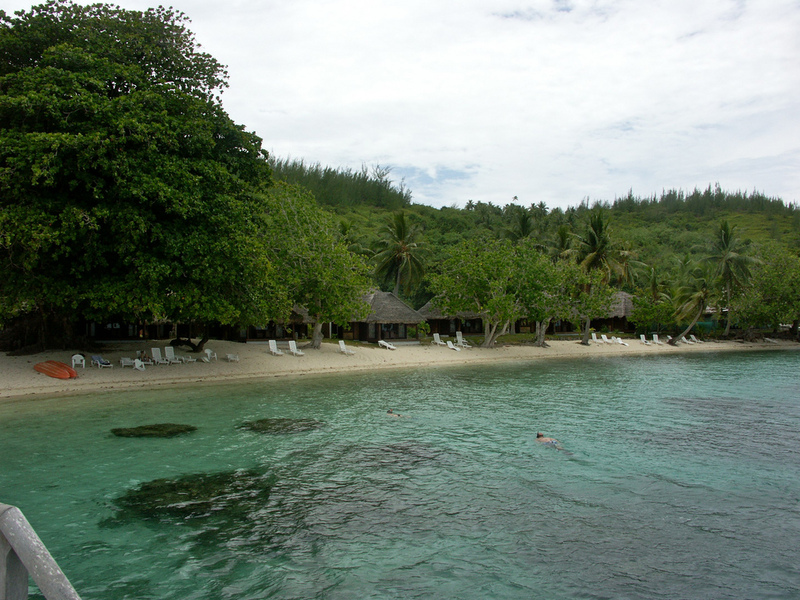 These restaurants include the Omai at Sofitel Heiva Huahine, and the beautiful Arii at the Te Tiare Beach Resort. Other restaurants include Te Nahe at Relais Mahana offering a charming local atmosphere of the isolated southern island, while Te Marara, Tiare Tipanier, and Te Manava in Fare feature waterfront settings, South Seas ambience, and Polynesian, French, and International cuisine favored by the locals. The village of Fare also offers a few roulottes and snack shops perfect for informal settings and picnics. Like all Islands in French Polynesia, the dual Islands of Huahine, are a water lovers paradise! Surrounded by a pristine tropical ocean and a wonderful lagoon, a great many watersports are available for your enjoyment. World class scuba diving, snorkeling, sailing, and surfing are among the most popular choices Huahine has to offer, but there are numerous other choices too! Take a casual lagoon swim, rent a jetski, go windsurfing, or see what kiteboarding is all about! 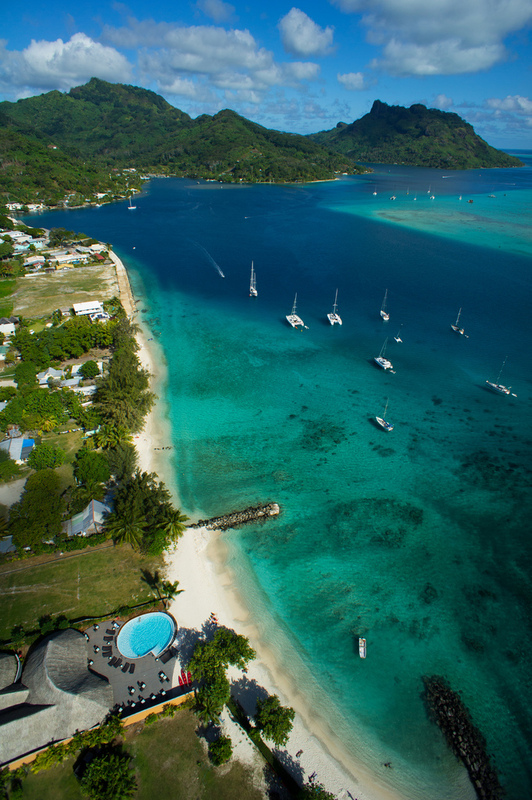 It's no wonder that many of Huahine's travelers come to this island just for the watersports alone!